This was probably the best book in the Beka Cooper series. That said, it still wasn't very good. Don't get me wrong. It wasn't bad, either. However, there were a few things about it that just didn't work for me. 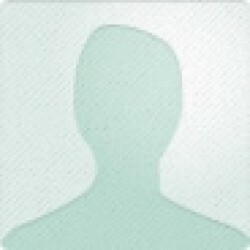 1) The diary format. It's not something Pierce has ever done before, and I hope that now that this series is over, it's not something she ever does again. Diaries can work as really interesting, compelling books, but I felt like Pierce didn't really commit to it - rather than have it be a plausible reflection of Beka's life, she has Beka chronicle entire days with a great deal of detail, including long conversations. I don't care how good her memory is - that's just not plausible, and it really jolted me out of the book. 2) The slang. Usually, I think that Pierce is pretty good with creating slang for her books that comes off as natural and adds a nice flavor to the setting. Here, however, that was not the case. "Dog" and "puppy" were the biggest offenders, but there were other words that came off as awkward and stilted, too. 3) Beka. 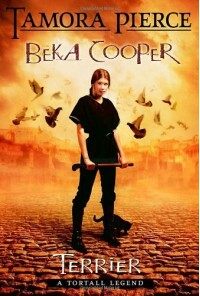 I actually liked Beka reasonably well as a heroine - she didn't appeal to me as much as Kel in Pierce's 'Protector of the Small' series did, or even as much as Alanna or Daine from her two earlier Tortall series, but I still found her interesting and her dedication and sense of purpose definitely appealed to me. However, there were points where she just felt like too much of a special snowflake - (minor spoilers) she can talk to dead spirits in pigeons, she can talk to wind tunnel things that remember conversations, and she even has Faithful from the Alanna books (now called Pounce) following her around. It just comes off as feeling like a bit much, and in some ways it cheapened her role to me - she had access to resources no one else did, and I'd have liked to see her have to work harder for it rather than being so magically gifted and special all on her own. As I said, it wasn't a bad book. Overall, I'd say that I enjoyed it. The plot was interesting, and while all the magical things Beka had access to did irk me at some points on principle, they were definitely fun additions and gave a nice spark to the world of Tortall, which is something Pierce certainly manages to do with each successive series. The secondary characters were also certainly fun, and though it did feel a bit cheap, I loved seeing Faithful again. However, I definitely don't think it was her strongest work.